The Huawei Ascend Mate7 is the company's first phablet ready for primetime, with two credible midrangers in the Mate series giving Huawei the confidence to stand up to rival flagships. Never mind the digit in the title, the Mate7 is actually a 6" device with premium looks, solid display and a capable chipset. It was built to stand out, outlast and outperform the competition and looks keen to muscle its way to the top instead of sneakily undercutting the competition. The Ascend Mate7 is trying to impress in pretty much every aspect. Its body is made of aluminum, but the focus is well on the 6" IPS display of 1080p resolution. Huawei's very own Kirin 925 chipset is powering the Mate7, which offers all-round connectivity options and a capable 13MP snapper. Huawei maybe a novice in fingerprint security, at least on paper, but comes across as a quick learner - to say the least. 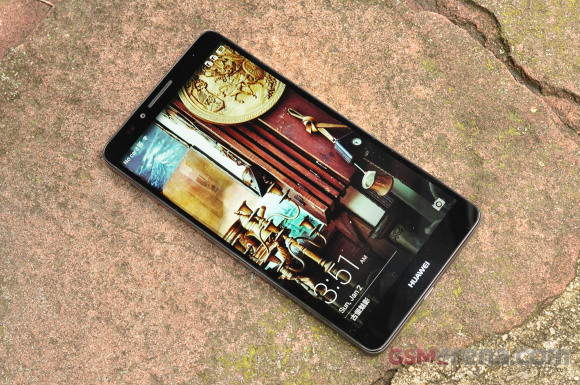 Huawei's implementation are superior to some of the popular solutions on other handhelds by major manufacturers. The phablet comes with built-in and easy to access scanner, which is fast and secure enough, offering touch&pay via NFC. And before we proceed with exploring the complete feature set there is no way we miss mentioning the massive 4,100mAh battery hidden inside the Mate7. Huawei promises incredible battery times and you bet we'll test these claims with the dedicated Ultra Power Saving mode off. What's up with companies and storage/RAM options? Just like the LG G3, the Huawei Ascend Mate7 comes with 2GB of RAM on its 16GB version and 3GB RAM with the 32GB model. One possible explanation is Huawei is trying to be competitive in two different price brackets. Fair enough, as long as users don't have to chase after the right box. And it is beyond us why Huawei decided not to implement more advanced video recording modes, having upgraded the camera sensor and the chipset. Still, the aluminum unibody with a smaller footprint than the iPhone 6 Plus and the huge battery behind the massive 6" display are likely to let the Huawei Ascend Mate7 start strong. So let's get right down to it - we'll hopefully have our questions answered as the review unfolds. The Huawei Ascend Mate7 comes in a flat box with a 2A compact charger, a microUSB cable and a one-piece headset. There's nothing more than the absolute must-haves, just like the cheaper Mates before it, the Mate7 isn't overly generous with the accessories. The Huawei Ascend Mate7 is big, there is no denying that. It measures 157 x 81 x 7.9mm and weighs 185g, about the size of an Apple iPhone 6 Plus - which however comes with a smaller, 5.5" screen. Samsung's Note 4 isn't any more compact either - and thicker - featuring a 5.7" screen. The Ascend Mate7 offers a bigger screen and battery than two very prominent rivals. Well done! 95% metal on the outer body, the Huawei Ascend Mate7 has premium looks and build quality unseen before in the Mate series. The aesthetic influences are easy to spot - a potential red flag for a certain kind of users - but the execution is tasteful. And the build quality is top notch. The sides remind of the iPhone 5's tapered edges, while the back looks a lot like the HTC One Max, the fingerprint scanner placement and all. There's a dash of HTC at the front as well, but the Mate7 has better reasons to be looked at: the massive 6" is almost bezel free, for an impressive screen to surface ratio of 83%. The Huawei Ascend Mate7 is probably the best device the company has built to date. The ultra-slim Ascend P6 looks gorgeous but the build quality of the Mate7 is even superior. And when you realize the phablet is as big as the 5.5" Apple iPhone 6 Plus, your respect for the Mate7 and Huawei's engineering chops will grow. Almost the entire front of the Huawei Ascend Mate7 is taken up by the 6" IPS display of 1080p resolution. The side bezels are super thin and, when the screen is off, you can't even tell there are any. The Huawei logo is printed below, while the earpiece, the front 5MP camera and a couple of sensors are above the 6" display. Pity the Mate7 borrowed the HTC One Max's design sans the stereo speakers. There is only a single speaker on the Huawei's smartphone. The hot-swappable microSD slot and the microSIM compartment are on the left side of the Ascend Mate7. Both require a SIM ejection pin to open. The Dual SIM version of the Mate7 (pictured below) has a nifty trick. The microSD card tray can alternatively host a nanoSIM card if you need a second SIM card. Unlike the microSD card, the nanoSIM card is placed perpendicular to the direction of insertion. It's an ingenious solution indeed, and a flexible one at that. The right side has the volume rocker and power/lock key. Both are made of brushed aluminum and while thin, they still have great press. The 3.5mm audio jack and the secondary microphone are at the top of the Ascend Mate7, while the primary mic and the microUSB port are at the bottom. Around back is where things get interesting. The decidedly HTC One Max-inspired design is complete with fingerprint identification - but while the layout may have been copied, the sensor itself is quite innovative. The fingerprint sensor offers 8-bit grey level detection, 360-degree readability, and can even be used with a wet finger - a big no-no with other sensors. It only requires a tap with a finger to activate, rather than the tedious drag-your-finger-over-the-sensor routine on Samsung devices. Despite the upgrade to 13MP for the primary camera, it's only able to record 1080p videos @30fps, while the 5MP front-facer stops at 720p. The 4,100mAh battery is non user-accessible due to the unibody design. 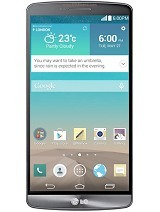 The Huawei Ascend Mate7 totes a 6" IPS LCD display with a resolution of 1080 x 1920 pixels. Its pixel density comes in at 368ppi, which is well above Retina grade. The screen has a dedicated mode for use with gloves too. It can be activated in the settings menu. 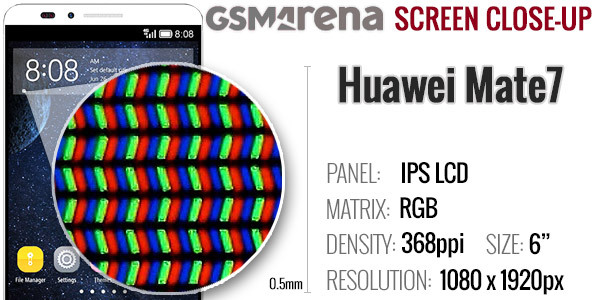 Here is the display matrix of the Ascend Mate7 shot with our digital microscope. Taking a closer look at it reveals a standard RGB arrangement of the sub-pixels that make up the Mate7's LCD panel, not that we've expected anything else. The display on the Huawei Ascend Mate7 offers really deep black levels and is decently bright at 100% with great contrast and color reproduction. Unfortunately dropping the brightness reduces it quite sharply and the screen becomes dim very soon, the 50% setting is actually closer to 25% of the actual brightness. Nevertheless, the Huawei Ascend Mate7 sports a great screen excellent for multimedia and games. The sunlight legibility isn't great, but the Ascend Mate7's display is still usable outside and you will be able to see what's happening on the screen. Huawei is providing options for color temperature. Glove mode is available too, but you probably shouldn't leave that turned on if you don't need it because it may drain your battery faster. As already mentioned, the Huawei Ascend Mate7 is powered by a 4,100mAh battery, which Huawei promises will carry you through two full days. The Mate7 did well in all three tests: 3G talk time, video playback and web browsing. The only disappointing thing was the standby battery draw, which brought down the Mate7's overall battery score. Fortunately, Huawei has implemented a great battery manager and provides Ultra Power Saving mode. You can considerably improve your battery performance by tweaking the phablet to your needs and preferences. Naturally we did our battery test with all energy saving options turned off. So, Huawei Ascend Mate7's overall endurance rating of 67 hours means your device will last a few hours short of three days, if you are using the Mate7 for an hour of calling, video playback and web browsing each day. So here's one promise that has been truly kept. The Huawei Ascend Mate7 comes with quad-band 2G/GPRS/EDGE, penta-band 3G with HSDPA and HSUPA (up to 42Mbps downlink and 5.7Mbps uplink), as well as nine-band Category 6 LTE support (50Mbps of uploads and 300Mbps downloads). You can use the device virtually anywhere in the world. Dual SIM option is available for some markets, too. Local connectivity is covered by dual-band Wi-Fi a/b/g/n with DLNA, so you can easily play media (photos, videos, music) from DLNA-enabled storage devices or push content from your _phone_ to a DLNA-compatible TV or music player. Bluetooth 4.0 is also on board with A2DP, EDR, and LE. The microUSB 2.0 port supports USB host so you can attach USB flash drives or connect peripherals. GPS and GLONASS support is enabled. There's an FM radio on board too. NFC with contactless payments is supported as well. The only connectivity feature which is missing is an infrared blaster but that won't be missed. Huawei Ascend Mate7 runs on Android 4.4.2 KitKat, skinned with an updated version of their home-brewed Emotion UI v3.0. The result is a very simple, flat interface with no app drawer (think iOS style). Even though the EMIUI got upgraded to v3.0, the interface hasn't changed much since we've met Ascend P7 last summer. It is still a really smooth UI, highly customizable, with flat looks, redone icons and a boatload of extras. Here's quick walkthrough of the Emotion v3.0 on video to get you started. The default lockscreen features a nifty "sunshine" effect as you drag your finger across. You customize it to display various wallpapers, widgets, iOS-style shortcuts, and even dual clocks when roaming. Fingerprint unlock is available as well. It works way better than any other device we've seen so far. You can position your finger however you like on the sensor, even without waking up the screen and it will unlock immediately. It is faster than Apple's implementation and a lot better than Samsung's swipe-able sensor on the Galaxies. By the way Huawei offers individual lock on apps of your choice - you can protect any app with your fingerprint. Thanks to the high-tech sensor better than the competition this won't slow you much and yet it will provide additional layer of security on you data. Beyond the lockscreen we find a fairly standard Android homescreen with five customizable shortcuts, which are docked at the bottom and are visible on all homescreens. There are nine homescreen panes at most - and at least a couple of them will be populated by the preinstalled apps. In the absence of an app drawer, anything you install pops up on the homescreen, just as it would on an iPhone or a Xiaomi. While this means that you don't have to bother creating shortcuts to your apps on the homescreens, it also means that you cannot effectively hide any of your installed apps either. You can, however, group them into folders. A pinch on the homescreen triggers the familiar Overview mode to let you check out and organize the homescreen panes currently in use, remove or add panes as you please. Widgets are available too - it's mostly the stock Android ones, but Huawei has thrown in some of its own as well. The overview mode also offers option for transition effects, wallpapers and even edit the layout grid of the panes (4x5, 5x4, or 5x5). Themes are available as well. A theme will change your homescreen wallpaper, lockscreen style, system and app icons, system font, system color and the sound profile. You can also adjust things like homescreen transition effects, and even change your wallpapers at random or specific time intervals. The notification area has two pages - one that hold al notification sorted in a timeline, and another for all of your quick toggles. You can swap around the ones you want visible on the first three rows. Huawei offers a few extra features like power manager, customizable navigation bar, simple homescreen, Do not disturb mode, and even one-hand optimizations for system apps. The Power Manager feature, available in your device's settings, shows the time left on your battery (or how much time you need to fully charge it when plugged in), as well as three non-customizable power modes - Smart, Normal and Ultra performance. The bottom navigation bar with the default Android controls is customizable - you can swap the task-switcher and back keys, or even add a shortcut for the notification area. You can hide the navigation bar and bring it back with an upwards swipe from the bottom. The Do Not Disturb mode is self-explanatory - you can schedule it when to turn on and off, and you can add a list of exceptions. You can enable the so-called Suspend button - it's a virtual key you can move anywhere on the screen and expandable to the primary Android keys - Back, Home, Task Switcher, Lock and Close all running apps. It will help you control your Mate7 with just one hand, but if that's not enough for you, there is always the one-hand mode - it uses the accelerometer to move the keyboard, the dialer and the navigation bar to the left or right side of the phone. There's also a Gloves mode toggle in the Settings menu, which will increase the touchscreen sensitivity of the Ascend Mate7 display, but may reduce your battery life. The Ascend Mate7 features a task switcher that lets you swipe away unwanted apps, and there's a "Clear all" button that also informs you how much memory you've freed up. It provides traffic information to your work or home, knows the scores of sports teams you follow and gives you the weather forecast for your location. It's great for at-a-glance info, but can handle voice input as well. It also has a dedicated homescreen/lockscreen widget. 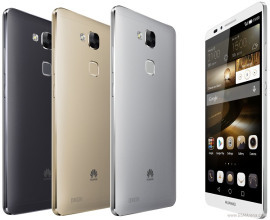 Huawei Ascend Mate7 runs on company's latest developed chipset - the Kirin 925. It has an octa-core processor with four Cortex-A15 cores clocked at 1.8GHz and four energy-efficient Cortex-A7 cores running at 1.3GHz. The Kirin 925 utilizes Mali-T628 GPU and 2GB of RAM (or 3GB of RAM, if you get the 32GB model). Even though the Mate7 display is 6", it uses 1080p resolution, which means the phablet should provide a flagship performance. Let's see how it stacks against the competition. So, our first test inspects the raw CPU performance, and quite expectedly, the Huawei Ascend Mate7's octa-core CPU demonstrates a stellar performance, a hair below the octa-core Galaxy Alpha. The compound AnTuTu 5 benchmark reflects the performance of CPU, GPU, RAM and storage. The score is on par with the Snapdragon 801 devices like the Galaxy S5, and a noticeable improvement over the previous Kirin 910T chipset within the Ascend P7. BaseMark OS II is another compound test that adds web performance into the equation as well. Unfortunately, the overall result is behind the curve, possibly because of a lower graphic sub-system performance. Just as we suspect, the single-core power is on par with the Snapdragon 801 gang while the combined performance of all eight cores is top of the class and equal to the Galaxy Alpha's same octa-core processor. Huawei Ascend Mate7 comes with Mali-T628 GPU, but Huawei didn't specify the number of GPU cores. For example Samsung Galaxy Alpha uses Mali-T628MP6, which means it is a hexa-core graphic accelerator. The first test we ran is the BaseMark X and Huawei Ascend Mate7 posted quite poor result, close to the HTC One Max, but twice lower than the current flagship crop. We continue with the GPU torture on the GFX Benchmark. Huawei Ascend Mate7 demonstrated really poor off-screen performance on both 2.7 T-Rex and 3.0 Manhattan tests, much lower than Galaxy Alpha. This makes us believe Ascend Mate7 is probably using a dual-core Mali-T628MP2 GPU. The uninspiring scores continue on the onscreen benchmarks as well, confirming the Mate7 runs on lesser Mali-T628 GPU than the one in Galaxy Alpha. 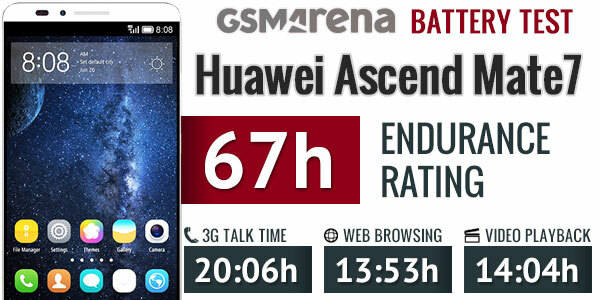 Huawei Ascend Mate7 is a powerful flagship with great raw CPU performance, but uninspiring GPU output. The Mali-T628 will do for most of the powerful games out there, but Huawei could have added some additional GPU cores. For what's worth, the Ascend Mate7 isn't slow, on the contrary - it offers buttery smooth Android OS and task switching and we had no problems while running heavy-duty tasks and games. But it could have been definitely better, future-proof. The Ascend Mate7 phonebook is laid out across three tabs that can be navigated by swipes. An alphabetical list on the right can help you jump to a specific letter or you can just use the search function. Tapping on a contact brings up a popup with access to a contact's scrollable info. As on most Android launchers, you can assign a plethora of contact information including custom ringtones and images. You can link contacts too, if you've added the same person on multiple services. The Ascend Mate7 held on to signal and in-call sound was just fine. The proximity sensor makes sure the screen stays off when you hold the phone to your ear. Flipping the phone on its face while it's ringing would mute the call ringing. Alternatively, picking the phone to your ear while it's ringing, automatically answers the call. The dialer and the call log share the same screen. The dialer offers smart dialing and it works both with names and numbers. We put the Ascend Mate7 through our traditional loudspeaker test and it scored a Good mark, which means you won't miss any notifications. Here's how it stacks up to the competition. The messaging section is business as usual with all SMS/MMS communication is organized into threads. Attaching a photo, video, audio recording or the like automatically turns your message into an MMS. The Ascend Mate7 also comes with Hangouts, which is another way to handle texts. The latest update lets Hangouts integrate your SMS and MMS messages in addition to Gtalk and Google+ conversations. For email, the Gmail app includes the four inbox options (Primary, Social, Promotions, Updates) that Google recently introduced in their online interface. The default Email app is similar to Gmail, except that it can handle multiple POP or IMAP inboxes, which is useful for when you want to keep track of multiple accounts from one place. The Ascend Ðate7 keyboard features some additional settings thanks to its Swype integration, including themes, split keyboard modes, and keyboard height, but sadly many of them are hidden within the input settings menu rather than as shortcuts from the keyboard like on most interfaces. Still, there is support for gestures as well as integration of Google's voice typing with their downloadable language packs. The Ascend Mate7's gallery app has been updated with a new Timeline view, which sorts your images by the date you've taken them. It defaults to the Timeline view, but you can opt for the standard Album view with all of your images sorted in different albums. When it came to playing videos, the Huawei Ascend Mate7 default player does a good job supporting every common video codec, but unfortunately it lacks support for AC3 audio. We couldn't find a way to load subtitles, but Dolby Mobile enhancement is supported. The Huawei Ascend Mate7 comes with Huawei's custom music player app. It offers four default playlists - songs, artists, albums, folders. You can create your own playlists, too. The Now Playing screen is pretty standard, it offers album art and lyrics. You can toggle Dolby Mobile by tapping the icon on the top left, but there are no additional equalizer presets or custom equalizer settings. The Huawei Ascend Mate7 has a built-in FM receiver. It can play through the headset or the loudspeaker, but you'll need to have the headset plugged in as it serves as an antenna. We were disappointed not to find RDS support - you'll have to name your radio stations by hand. The Huawei Ascend Mate7 did excellently in the active external audio test, posting great scores and showing no weaknesses to its performance. The only thing to potentially frown at is its sub-par volume, but quality-wise it's right up with there with the best. 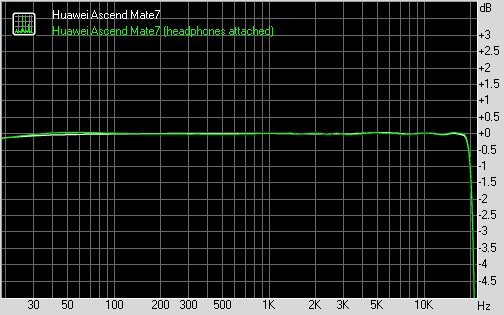 Impressively enough, plugging in a pair of headphones causes a very minor increase in stereo crosstalk - in this scenario the Ascend Mate7 ranks even better compared to the competition, which often see more degradation. Alas, the volume is below average here too, so we can't really say it's the best phablet for audio playback, but we can certainly promise you it will play every track the way its authors meant it to sound. The Huawei Ascend Mate7 has a 13MP camera for maximum image resolution of 4160 x 3120 pixels. There's a single LED flash to go with it. The camera interface is a very clean and simple. On the right side on each side of the virtual shutter button you get swipe controls that will take you into the photo, all focus and video modes. To activate the Burst mode you just need to press the camera shutter longer. On the left side is an advanced menu where you can choose from more shooting modes such as HDR and Panorama, and adjust things like object tracking, smile shutter, touch to capture switch, geo-tagging on/off, ISO, white balance, and more. The all focus mode is similar to Refocus on the Lumia phones - your Mate7 takes a few pictures, while you are holding your phone steady and you can choose the focus later, including all in focus. It works nice and hiccup-free. Huawei Ascend Mate7 takes high-res 60MP panorama images, but stitching and captured detail are far from perfect. The Huawei Ascend Mate7 camera captures really decent photos, with plenty of resolved detail, accurate colors. Perhaps the digital noise is a bit more than we would have liked but it's nothing major. The dynamic range could have been better, but we like what we got anyways. Whatever the weather, the Ascend Mate7 gave us great 13MP samples we are happy with. The HDR mode works great too bringing up even more detail in the shadows, without sacrificing the image quality. We also snapper a macro shot and an all-focus samples. Enjoy! Finally we've taken a 5MP shot with the front camera made for selfies. The Huawei Ascend Mate7 has plenty of smartphones to contend with in our Photo compare tool, which lets you see just how it fares against other 13MP shooters. The Huawei Ascend Mate7 offers 1080p videos at 30fps, as well as 720p HDR videos. Sadly there's no 4K recording on the Mate7. Videos are stored as MP4 files and have a bitrate of a solid 25Mbps for 1080p resolution. There's stereo sound at 96Kbps and the 30fps mark doesn't waver at all. The 1080p@30fps videos of the Ascend Mate7 offer good detail levels and plenty of sharpness. Once again - the dynamic range could have been better and we really expected more resolved detail from such a flagship phone. Here a sample we've uploaded on YouTube for you. You can also download a 1080p@30fps untouched video. The video camera of the Huawei Ascend Mate7 shoots standard 1080p videos @ 30fps. The colors are noticeably warmer than the competition and the detail levels are just not on par with the flagship competition. Like most droids nowadays, the Ascend Mate7 comes with two browsers to handle your web surfing needs. The stock browser offers largely the same functionality as Google's bundled Chrome browser, but we found the latter to be a more capable performer. Chrome also lets you sign in with your Google account and access open tabs and history from other sessions. Perhaps the highlight of Huawei's homebrewed apps is the phone Manager. It lets you control all sorts of features from call/message privacy and Do Not Disturb settings, to phone optimization and app permissions, to network and battery usage. It features a one-touch optimization feature that frees up memory space and gives you settings recommendations for maximum battery performance. It's quite a slick feature that few manufacturers offer. The Huawei Ascend Mate7 comes with Polaris Office 4.0, which handles document editing with ease. It supports Word, Excel and PowerPoint docs (both the 2003 and 2007 versions), it also opens PDF files and it doubles as a file explorer. You do get a proper file explorer too - it has two tabs that divide your content between categories and a file explorer for internal and external storage. The app also handles ZIP and supports batch operations. It comes with a very useful Safe folder, which can be protected with a fingerprint verification. Nice! Huawei has included some nifty camera features in the Ascend Mate7, some of which are accessed as individual apps. The Magnifier is especially nifty for looking at stuff up close, while the markedly female-targeted Mirror apps lets you get a quick look at yourself, with included brightness adjustments and zoom options. There are also the standard sound recorder, flashlight, calculator, calendar, clock, and weather apps, among others, that are a given in any self-respecting Android package nowadays. When it comes to getting around, the Ascend Mate7 comes with Google Maps and Navigation. The app offers much of the same functionality as its web-based counterpart, although you will need a data connection to take full advantage of the navigation features. Street view mode with digital compass enabled is an especially cool trick. The best part of owning a smartphone is getting new apps, and when it comes to Android, Google Play Store is the best source for getting your fill. From recommendations to top apps, it features a plethora of ways you can find new apps, and installing an app usually only takes a couple of taps. The Ascend Mate7 is probably a logical next step for Huawei after a couple of solid midrange attempts in the same genre. The Mate7 will mix with the big boys in a niche, which has only been getting busier and has a prominent newcomer this season. The premium looks of the Huawei phablet will get enough attention and the build quality will live up to the resulting expectations. That's one important box duly checked. Huawei even probably over-delivered here, considering theirs is a much bigger screen - and battery - in the same space as the iPhone 6 Plus. The Note 4 goes there too. The company indeed succeeded in manufacturing a high-end device made of aluminum alloy, with good looks and excellent handling despite its massive footprint. What we're not sure about is the resemblance to the HTC One Max. Parts of the design are nearly identical and that may be interpreted the wrong way. We'll say it again though, whatever the design inspiration, the Mate7 looks and feels amazing and the build is impressive. The fingerprint scanner was a very pleasant surprise. More than just a line on the spec sheet, it works better than the Samsung solution and can do more or less the same as what you would on an iPhone or a Galaxy handset. The Mate7's fingerprint scanner is very quick and comfortable to use for things like screen unlock, securing content, limiting access to selected app and authorizing payments. The display may not be a QHD unit but the pixel density is more than Retina-grade, with sharp images, great contrast, color reproduction and sunlight legibility. Even better, it can work with gloves if need be. The new Kirin 925 chipset is reasonably fast, but not Snapdragon 801 fast - and there's 805 now, with 810 around the corner. Worse still, while the CPU performance is solid, the Mali-T628 GPU delivers underwhelming results and will soon be kicked out of the major league. At least you get 3GB of RAM, which will put heavy multitaskers at ease. Something to watch out for though - the 16GB version comes with "only" 2 gigs of RAM. The 13MP rear camera takes great stills, but videos don't go higher than 1080p at 30fps, which isn't competitive enough in this price bracket - a disadvantage only an iPhone can get away with. The battery capacity is a whopping 4100mAh but, but poor standby battery performance (probably due to inadequate software optimizations) didn't allow the Mate7 to match the battery ratings of the iPhone 6 Plus or the Galaxy Note 4. Now, let's summarize our key test findings for you. Like we said, Huawei has a solid foundation to build on and hopes to succeed in the premium segment - but they should very well know what they're up against. The new Apple iPhone 6 Plus is obviously one of the targets - a bold statement never mind Apple are newcomers in this niche. The Cupertino phablet is way more expensive, offers limited storage and a smaller display in the same footprint - but at the end of the day, iPhone users are always driven by less tangible factors. Of course, things like the excellent camera with optical stabilization, the App Store and seamless integration with other Apple devices via iCloud and Handoff cannot be underplayed. The Samsung Galaxy Note 4 has just hit the shelves and is genuine bestseller stuff. It offers a superior 5.7" QHD Super AMOLED display, a better Snapdragon 805 chipset, better camera and richer software package with deep S-Pen stylus integration. It costs a good 200 over the Mate7 though. The Lenovo Vibe Z2 Pro matches both the screen size and price tag of the Huawei Ascend Mate7. Its display is even better at QHD resolution, while the snappy Snapdragon 801 is in charge. The Vibe Z2 Pro also features an aluminum unibody, comes with more capable camera with optical stabilization and 4K video recording. If you are looking for an alternative to the Mate7 with even better specs, the Lenovo Vibe Z2 Pro is definitely the one the Mate7 should be wary of. You would be missing the fingerprint bandwagon. Another couple of QHD devices, although with smaller 5.5" displays, the Oppo Find 7 and the LG G3 are both powered by Snapdragon 801 chipsets, offer great cameras, and feature-rich software packages. 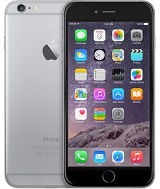 They both cost around the same as a Huawei Ascend Mate7, which puts them on the potential buyer's shortlist. Finally, if you are looking for more affordable options, the HTC One Max may probably get the nod. If nothing else, it's where the Ascend Mate7 surely took some inspiration from. The One Max isn't among the company's most successful devices, but still reasonably relevant with a 1080p 5.9" screen, a Snapdragon 600 chipset, Boom Sound stereo speakers and a fingerprint scanner - admittedly inferior to Huawei's. Perhaps a better idea - and still cheaper than the Mate7 - the Nokia Lumia 1520 only misses the fingerprint scanner of the Mate7 but more than makes up for it with its PureView camera. OK, clearly not a free ride for the Mate7 in the premium phablet space but it won't give up without a fight. The Ascend Mate7 looks the part (hat-tip to HTC) and is more than reasonably equipped for survival. Huawei's ambitions are certainly higher than that though and they look capable of matching them with skill and resources.